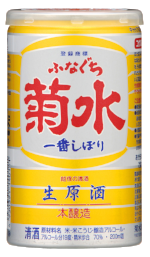 The first 60 people to reserve will receive a FREE "Funaguchi Kikusui Ichiban Shibori" (200ml) No.1 Nama sake in Japan. One order serves one person. Only available for reserved orders. Tax not included. 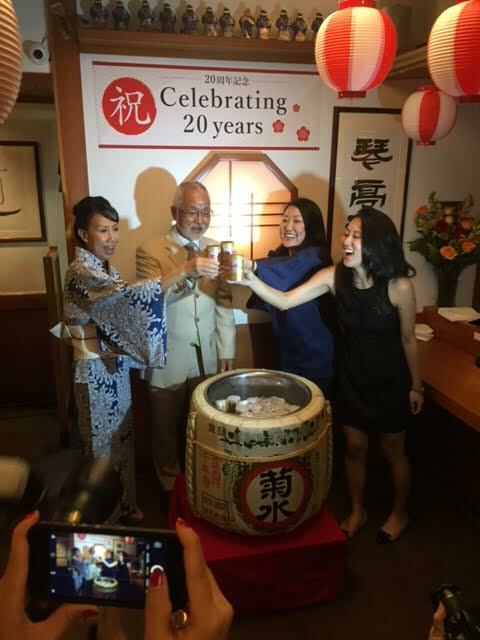 Adopting the traditional Japanese approach in launching Sobaya's 20th Anniversary, Ms. Tomoko Yagi, Mr. Shuji Yagi, Ms. Megumi Matsumoto, and Ms. Sakura Yagi takes the honor of breaking open the sake barrel with wooden mallets. Once the barrel is broken, sake is shared and enjoyed by all. Outside, our receptionist greeted guests on this nice beautiful day. Staff wore Happi, a Japanese festival jacket to welcome our guests. 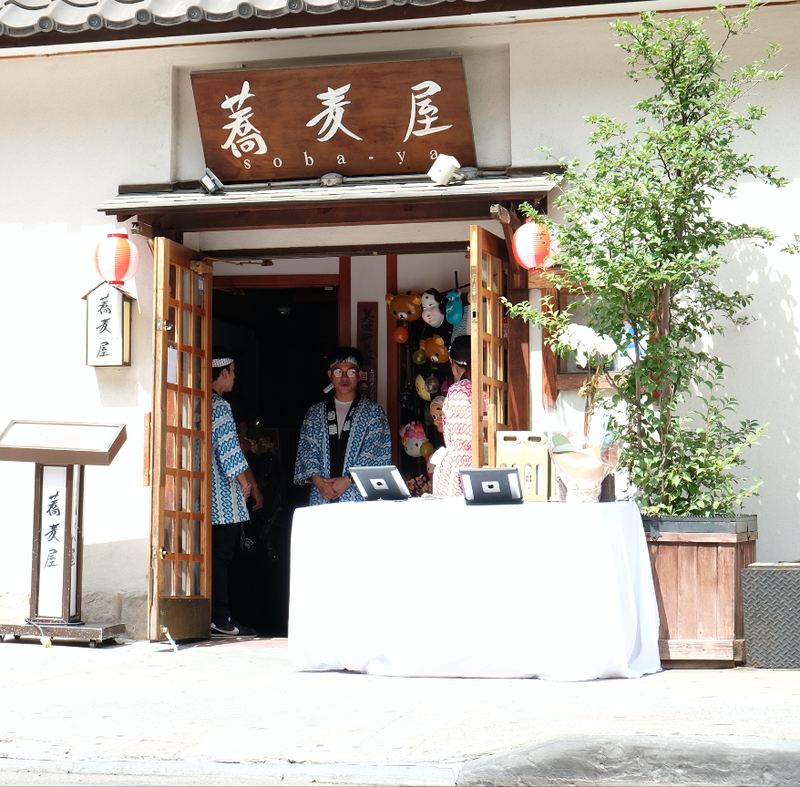 To resemble the festival style, we set up Mask -Omen- & Yo-yo store at the entrance. 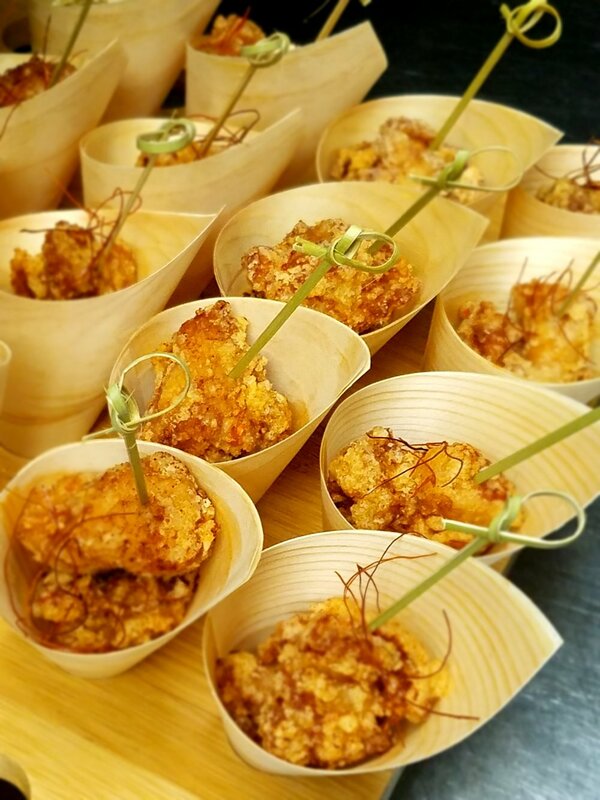 We provided a variety of delicious finger foods to be enjoyed with or without sake. 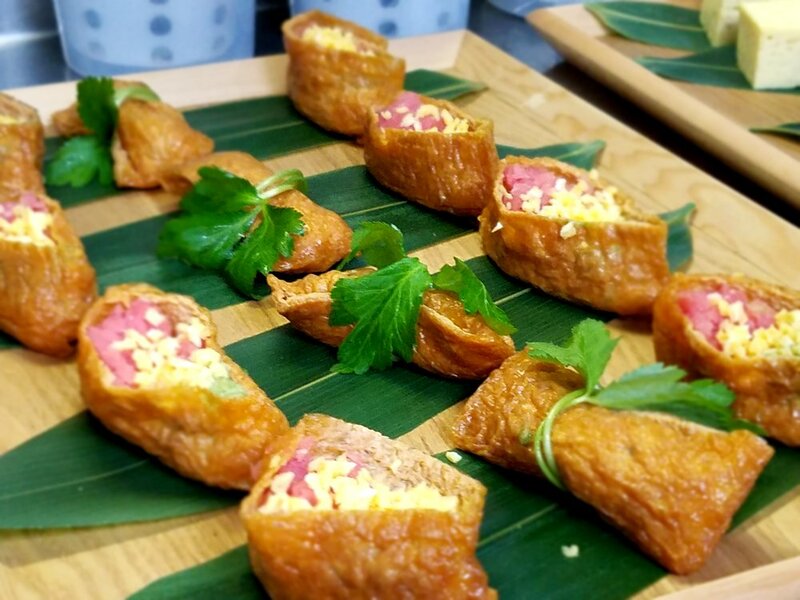 (From top left to bottom right:) Inari Sushi, Citrus Shishito Peppers, Dashimaki Tamago, Sobaya's Original Ceviche, Tatsuta-Age, and Sobaya Manju. In addition, we served Milk Pudding and Duck. 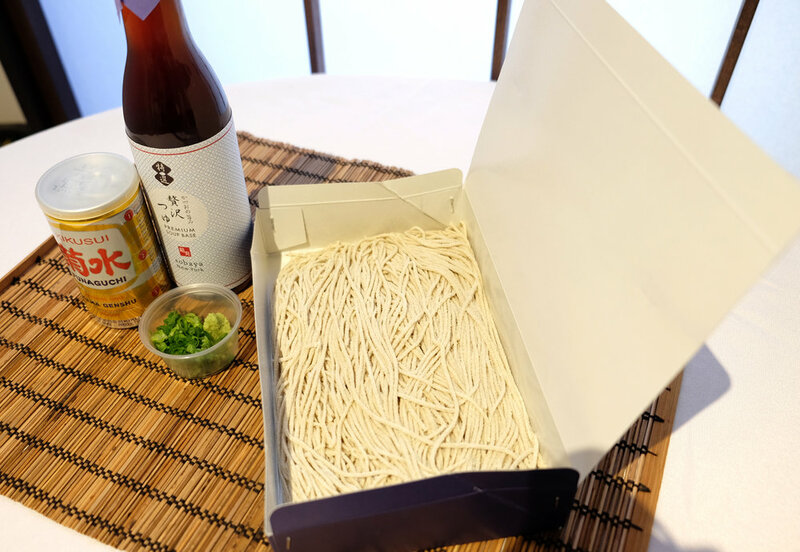 Mastering the art of soba-making from a Japanese Chef, Mr. Victor Sandoval demonstrates how traditional soba noodles are handmade from wheat and buckwheat flour. First, it is kneaded into a flat-bottomed peak. It is then rolled out into a thin sheet, folded and cut into long, thin strands. 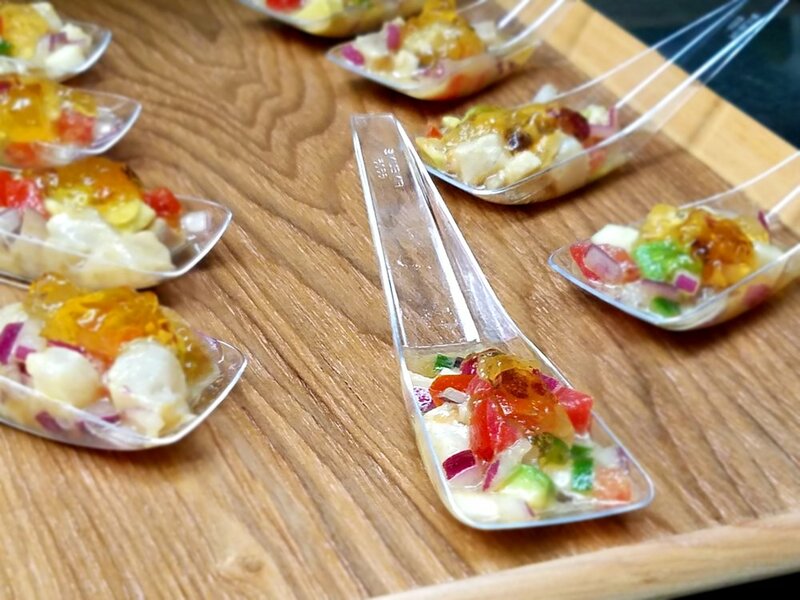 Not only is it delicious, but also very healthy. 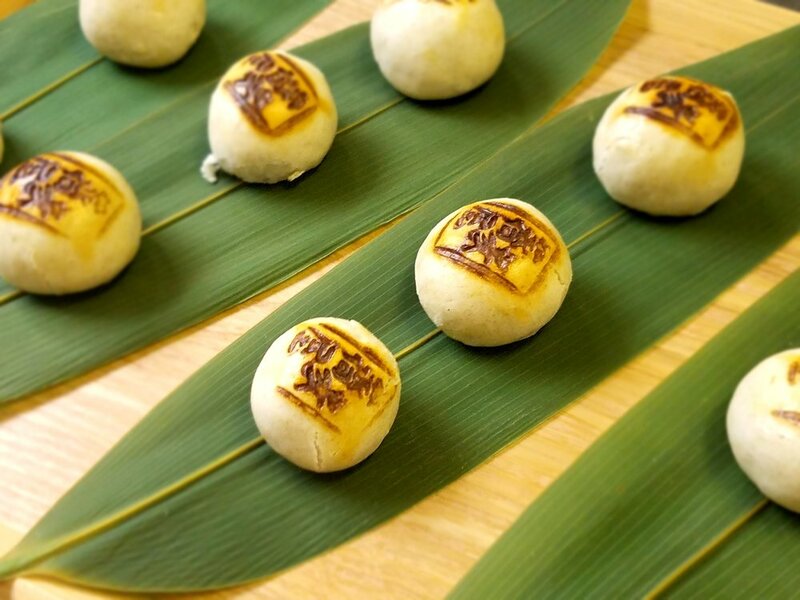 Business partners, families and friends joined in the traditional Japanese summer festival to share the celebration of Sobaya's 20th year.